Jasper Coo Strong momentum time to invest now. kentrade888 The news is about to be announced. yiqqre Now you can start collecting this counter. yiqqre After the bad news, The good news came along. kelvin Michael Liang Now the shares is only 24sen.you don't buy now and when are u all going to buy.like REV last month 28sen and today is 40sen.do u all want to wait until 50sen then buy.many of the penny stock have up 100per cent already. Daily8 BE CAREFUL ON MONDAY..
Daily8 YKGI disposed at extensive loss of 110.24mil upon disposal of the plant in Klang. Plant valued at 232.4mil but only sell at 125mil. This is crazy man! Veron_teo lol tp 1 cent. Infiltrader KUALA LUMPUR (Feb 20): YKGI Holdings Bhd saw its net loss widen to RM122.97 million or 35.07 sen per share in the fourth quarter ended Dec 31, 2018 (4QFY18) — an amount that is almost three times more than its market capitalisation of RM47.34 million. targetinvest sarawak election fever coming laa..
targetinvest Wont PN17.. because YKGI team up with Ajiya to do roofing..
Sarawak need a lot of roof and affordable housing.. YKGI diversifying to that area..
targetinvest now YKGI dun want to sell only flat steel roll. Want to put in more effort to sell improved goods.. So go chance since so low..
targetinvest KUCHING: YKGI Holdings Bhd, which owns manufacturing facilities in Sarawak and Sabah which produce metal roofing products, is expanding to Peninsular Malaysia. The expansion plans for this downstream business in the peninsular, via wholly-owned subsidiary Asteel group, would be through joint ventures or acquisitions of existing metal roofing firms, according to executive deputy chairman Datuk Soh Thian Lai. “The company has identified several potential ventures and is in the midst of evaluating its potential ventures,” he said. Asteel has manufacturing plants in Kuching, Bintulu and Miri in Sarawak and Kota Kinabalu and Tawau in Sabah. The other four plants manufacture roll-formed roofing and related products. Lai said Asteel group had targeted to invest in two other production facilities in Sabah and open two more concept stores in Sarawak as part of the business expansion plans.“Asteel group also intends to expand its presence to Kalimantan,Indonesia,” he added. The group currently operates seven “enviro” concept stores in Sarawak, Sabah and Selangor.These stores trade building materials and hardware. targetinvest all the hot money will target here soon! targetinvest 0.12 already almost habis and later 2.30.. burst!!! So now anti steel dumping tax come in..
targetinvest all quiet quiet one ah? shareking1 Ykgi is one of the Sarawak company share. targetinvest 4pm maybe will start big engine??? commonsense This is a loss-making steel company for the past 5 years. 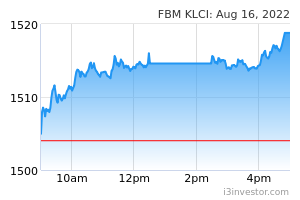 There was some appeal in the stock last year due to the potential disposal of the company’s previous Klang plant. Initially, investors were expecting that the plant would be sold at near its asset value of around RM220mil (after deducting debt its net book value was almost RM80mil). But this did not materialised. The sale of the plant at only RM125mil to NS BlueScope represent a very steep discount to the value recorded in its balance sheet hence the reason for the massive losses in 4Q18. Please take note that as of 4Q18 the company equity to shareholder was only RM44.5mil which is only 25.2% of the share paid up capital. If the company record another quarterly losses of more than RM2mil (which is most likely will be the case), it could potentially fall under the PN17 status. A company will be put under the PN17 status if the equity to shareholders falls below 25% of the paid up capital. MBMR is a direct proxy to Perodua via its 22.6% interest in the company. Valuation is cheap at only 6.7x PE based on FY18 profit of RM166mil. PB is low at only 0.7x BV. MBMR is expected to achieve a profit of RM200mil in 2019. At the current share price, the company is being valued at only 5.5x which is a lot lower than the industry average of 15x PE. As an example, UMW (another company with exposure to Perodua) is currently trading at a PE multiple of almost 20x. B4b4 Ygki is going to downstream business which is good because of lesser costs and higher volume of sales. B4b4 Lots of construction projects previously shelved have been reviewed.